Last weekend, Gracie Barra held the first ever Quebec Regionals, and I was there shooting the event for them. 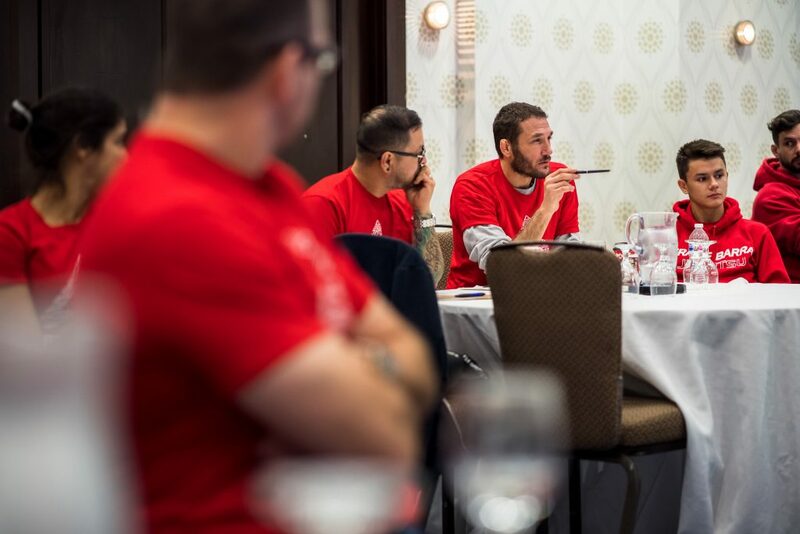 The day was split between morning talks and afternoon training; the morning session was a series of presentations given by the Quebec gym owners, and after lunch, there was a tournament for the kids followed by a seminar for the teens and adults. As an outsider looking in, I can say it was a great event with much to learn and take away from. In the morning, each of the talks were tailored for each speaker. For instance, Glen MacKenzie’s talk was entitled “Closing the deal” (anyone who knows Glen knows he can sell water to a fish), Marcelo Bonança covered the financial aspect of owning a gym (he holds a Masters in Economics), and a talk entitled “Taking the leap” was given by Demetrios Diavatopoulos, the most recent individual to take the plunge and open his own school. We also got to hear some more personal stories from Professors Alexandre “Café” Dantas and Bruno “Molenga” Fernandes, who shared candid memories of their jiu-jitsu journey under Master Carlos “Carlinhos” Gracie Jr. in Brazil. I think at times as jiu-jitsu students, we forget that our ‘mentors’ were once ‘pupils’, much like us. To grow its business by offering a high-quality product to its consumer base. Make no mistake; Gracie Barra is a business set out to grow and make profit, but in order to remain competitive, it emphasizes delivering a well-packaged and superior product. 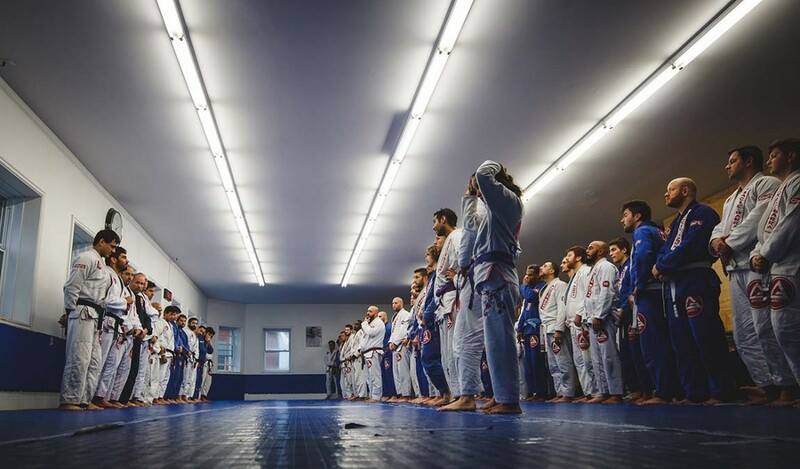 With now over 700 schools around the world, and ranking as one of the top competition teams year after year, it is clear that Gracie Barra is accomplishing both of their goals. After lunch, a kids’ competition training was organized. The tournament was not seriously structured but was more of an opportunity for the youth from the various academies to meet, test their mettle, and have a little fun. At the end, games were organized for the youngest of kids’ groups, which was not only fun for them, but entertaining for everyone watching. Nothing is more hilarious than watching 2 kids, tied back-to-back by a belt, crawling and fighting their way to a flag, while unbeknownst to them, being held back by an adult (to keep things fair and going on a little bit longer, of course). In the late afternoon, the techniques seminar was given by the visiting professors, Fabio Costa and Alexandre Dantas. Each jiujiteiro has their own unique approach to jiujitsu, and the techniques they taught reflect that. Fabio showed some standard throws with fresh and interesting setups, as well as a sneaky half-guard sweep (which I am already incorporating into my game). “Café” showed off some fancy lapel sweeps from the worm guard and lapel chokes from top turtle. Now that the mats have been swept and the Gi’s folded and put away, I’ve had some time to reflect on the day. Funnily enough, parallel to starting jiujitsu back in 2010, I have also been in academia working both as a researcher and student. Attending yearly scientific conferences has always been an exciting break from the regular day-to-day of the lab; after talking to researchers from different labs and sharing success and failures, I always come away from these conferences a little more focussed, a little more motivated, and looking forward to getting back to the daily grind with a refreshed outlook on the year ahead. Knowing that others “in your field” struggle and work through similar problems as you, and that success is there for the taking (no matter what that might look like for you), is a great way to put perspective on what you are doing, and recharge your batteries for the year ahead. Before Saturday, I hadn’t felt that in the context of jiu-jitsu. See you on the mats (a little more focussed and a little more motivated).